Could Canada cut interest rates? Canadian Underwriter	Could Canada cut interest rates? The central bank left its interest rate unchanged last month, saying there was more uncertainty about the timing of future hikes because Canada had entered a soft patch. 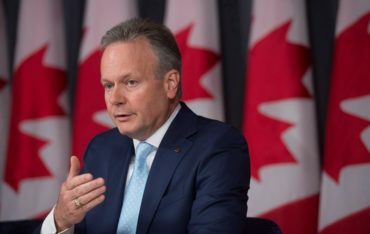 Unlike the bank’s accompanying statement for that announcement, Poloz’s address Monday made no reference to future rate hikes.Canada’s surprising economic deceleration in the final three months of 2018 and worries about the international outlook have fed market predictions Poloz’s next move could, in fact, be a rate cut.